Magic takes many forms. The ancient Egyptians explained the night by suggesting that the goddess Nut swallowed the sun. The Vikings believed a rainbow was the gods bridge to earth. These are magical, extraordinary tales. But there is another kind of magic, and it lies in the exhilaration of discovering the real answers to these questions. It is the magic of reality — science. Packed with inspiring explanations of space, time and evolution, laced with humour and clever thought experiments, The Magic of Reality explores a stunningly wide range of natural phenomena. What is stuff made of? How old is the universe? What causes tsunamis? Who was the first man, or woman? This is a page-turning, inspirational detective story that not only mines all the sciences for its clues but primes the reader to think like a scientist too. Richard Dawkins elucidates the wonders of the natural world to all ages with his inimitable clarity and exuberance in a text that will enlighten and inform for generations to come. 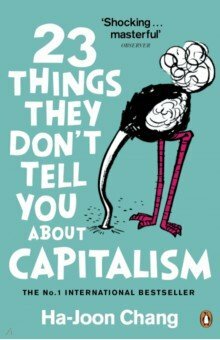 This sparkling collection of Sue Townsends hilarious non-fiction covers everything from hosepipe bans to Spanish restaurants, from writers block to slug warfare, from slob holidays to the banning of beige. For Marc Chagall (1887-1985), painting was an intricate tapestry of dreams, tales, and traditions. His instantly recognizable visual language carved out a unique early 20th-century niche, often identified as one of the earliest expressions of psychic experience. Chagalls canvases are characterized by loose brushwork, deep colors, a particular fondness for blue, and a repertoire of recurring tropes including musicians, roosters, rooftops, flowers, and floating lovers. For all their ethereal charms, his compositions were often rich and complex in their references. They wove together not only colors and forms, but also his Jewish roots with his present encounters in Paris, markers of faith with gestures of love and symbols of hope with testimonies of trauma. 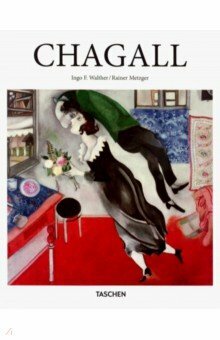 Across scenes of birth, love, marriage, and death, this dependable artist introduction explores the many versions of Chagalls rich vocabulary. From visions of his native Vitebsk in modern-day Belarus to images of the Eiffel Tower, we explore the unique aesthetic of one of the most readily identifiable modern masters and one of the most influential Jewish artists of all time. In a fleeting fourteen year period, sandwiched between two world wars, Germanys Bauhaus school of art and design changed the face of modernity. With utopian ideals for the future, the school developed a pioneering fusion of fine art, craftsmanship, and technology to be applied across painting, sculpture, design, architecture, film, photography, textiles, ceramics, theatre, and installation. 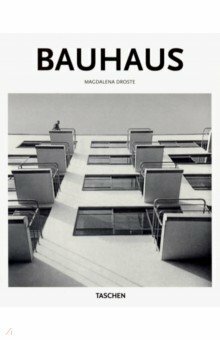 As much an intense personal community as a publicly minded collective, the Bauhaus was first founded by Walter Gropius (1883-1969), and counted Josef and Anni Albers, Wassily Kandinsky, Paul Klee, Oskar Schlemmer, Gunta Stoelzl, Marianne Brandt and Ludwig Mies van der Rohe among its members. Between its three successive locations in Weimar, Dessau and Berlin, the school fostered charismatic and creative exchange between teachers and students, all varied in their artistic styles and preferences, but united in their idealism and their interest in a «total» work of art across different practices and media. This book celebrates the adventurous innovation of the Bauhaus movement, both as a trailblazer in the development of modernism, and as a paradigm of art education, where an all-encompassing freedom of creative expression and cutting-edge ideas led to functional and beautiful creations. Largely self-taught as an artist, Francis Bacon (1909-1992) developed a unique ability to transform interior and unconscious impulses into figurative forms and intensely claustrophobic compositions. Emerging into notoriety in the period following World War II, Bacon took the human body as his nominal subject, but a subject ravaged, distorted, and dismembered so as to writhe with intense emotional content. With flailing limbs, hollow voids, and tumurous growths, his gripping, often grotesque, portraits are as much reflections on the trials and the traumas of the human condition as they are character studies. These haunting forms were also among the first in art history to depict overtly homosexual themes. 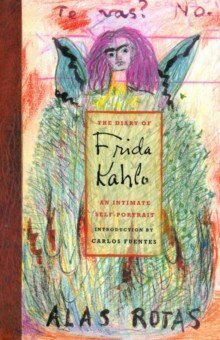 Published in its entirety, Frida Kahlos amazing illustrated journal documents the last ten years of her turbulent life. These passionate, often surprising, intimate records, kept under lock and key for some 40 years in Mexico, reveal many new dimensions in the complex personal life of this remarkable Mexican artist. The 170-page journal contains the artists thoughts, poems, and dreams, many reflecting her stormy relationship with her husband, artist Diego Rivera along with 70 mesmerizing watercolor illustrations. The text entries, written in Fridas round, full script in brightly colored inks, make the journal as captivating to look at as it is to read. Her writing reveals the artists political sensibilities, recollections of her childhood, and her enormous courage in the face of more than 35 operations to correct injuries she had sustained in an accident at the age of 18. This intimate portal into her life is sure to fascinate fans of the artist, art historians, and womens culturalists alike. 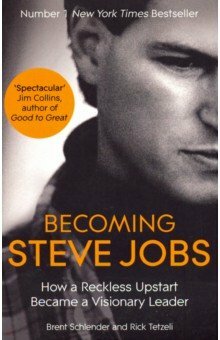 Becoming Steve Jobs answers, for the first time, the central question about the life and career of the Apple founder and CEO: how did a young man so reckless and arrogant that he was exiled from the company he founded become the most effective and influential business leader of our time? Revelatory and inspiring, and drawing on extensive new interviews, exclusive access to major figures in Jobs life and over twenty-five years closely covering the man himself, Becoming Steve Jobs is the most intimate and important biography yet of this legendary figure. The amazing true story of how London became home to the Russian super-rich. A dazzling tale of incredible wealth, ferocious disputes, beautiful women, private jets, mega-yachts, the worlds best footballers — and chauffeur-driven Range Rovers with tinted windows. A group of buccaneering Russian oligarchs made colossal fortunes after the collapse of communism — and many of them came to London to enjoy their new-found wealth. Londongrad tells for the first time the true story of their journeys from Moscow and St Petersburg to mansions in Mayfair, Knightsbridge and Surrey — and takes you into a shimmering world of audacious multi-billion pound deals, outrageous spending and rancorous feuds. But while Londons flashiest restaurants echoed to Russian laughter and Bond Street shop-owners totted up their profits, darker events also played themselves out. The killing of ex-KGB man Alexander Litvinenko in London to the death — in a helicopter crash he all but predicted — of Stephen Curtis, the lawyer to many of Britains richest Russians, chilled Londons Russians and many of those who know them. This is the story of how Russias wealth was harvested and brought to London — some of it spent by Roman Abramovich on his beloved Chelsea Football Club, some of it spent by Boris Berezovsky in his battles with Russias all-powerful Vladimir Putin. 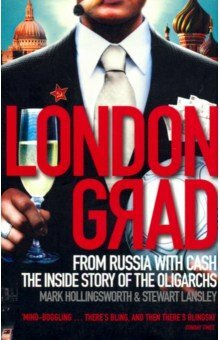 Londongrad is a must-read for anyone interested in how vast wealth is created, the luxury it can buy and the power and intrigue it produces. Fully revised and updated with additional content — this is a brand new edition of the bestselling Eat That Frog! There just isnt enough time for everything on our «To Do» list — and there never will be. Successful people dont try to do everything. They learn to focus on the most important tasks and make sure they get done. Theres an old saying that if the first thing you do each morning is to eat a live frog, youll have the satisfaction of knowing that its probably the worst thing youll do all day. 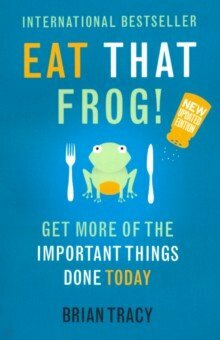 Using «eat that frog» as a metaphor for tackling the most challenging task of your day — the one you are most likely to procrastinate on, but also probably the one that can have the greatest positive impact on your life — Eat That Frog! shows you how to zero in on these critical tasks and organize your day. Youll not only get more done faster, but get the right things done. Bestselling author Brian Tracy cuts to the core of what is vital to effective time management: decision, discipline, and determination. In this fully revised and updated second edition, he provides brand new information on how to keep technology from dominating your time. He details twenty one practical and doable steps that will help you stop procrastinating and get more of the important tasks done — today!